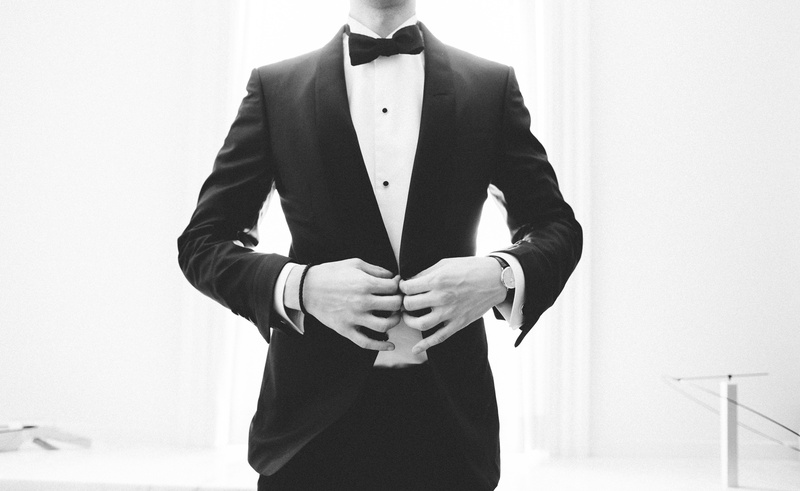 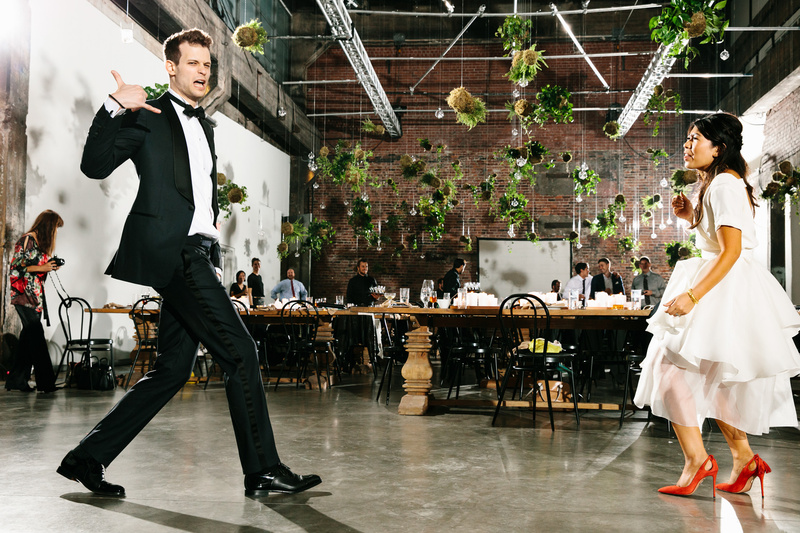 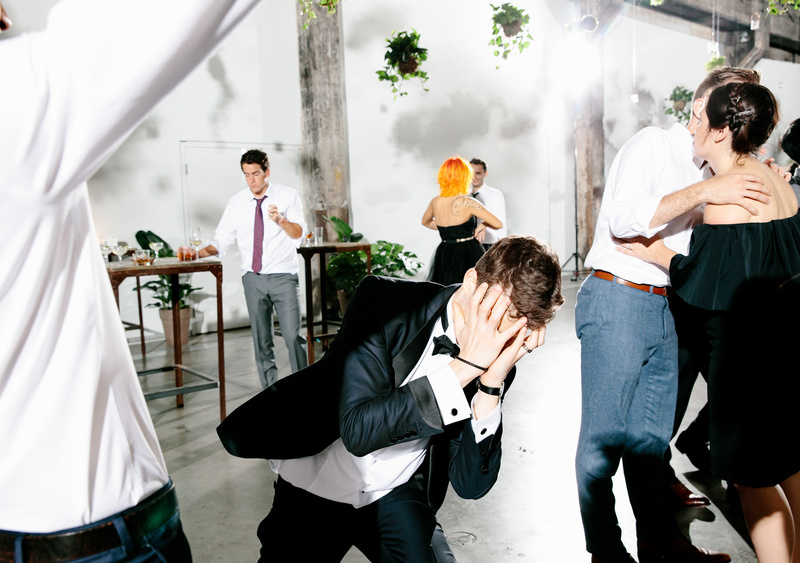 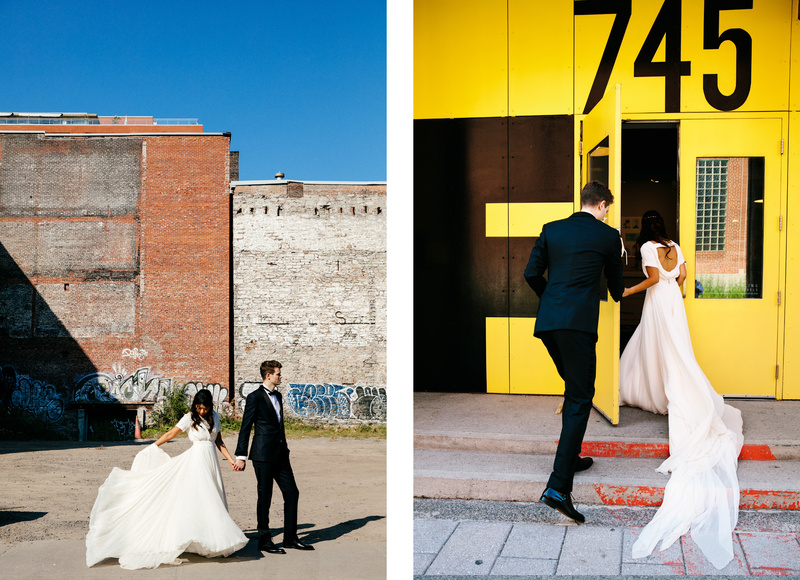 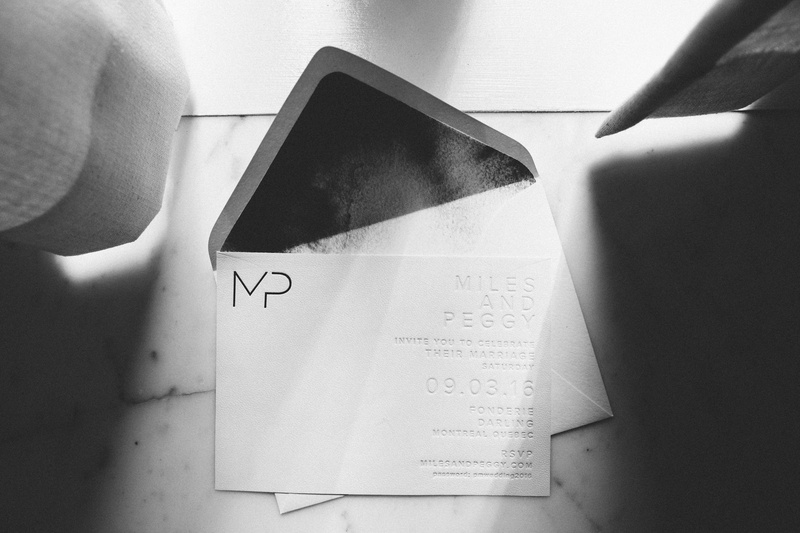 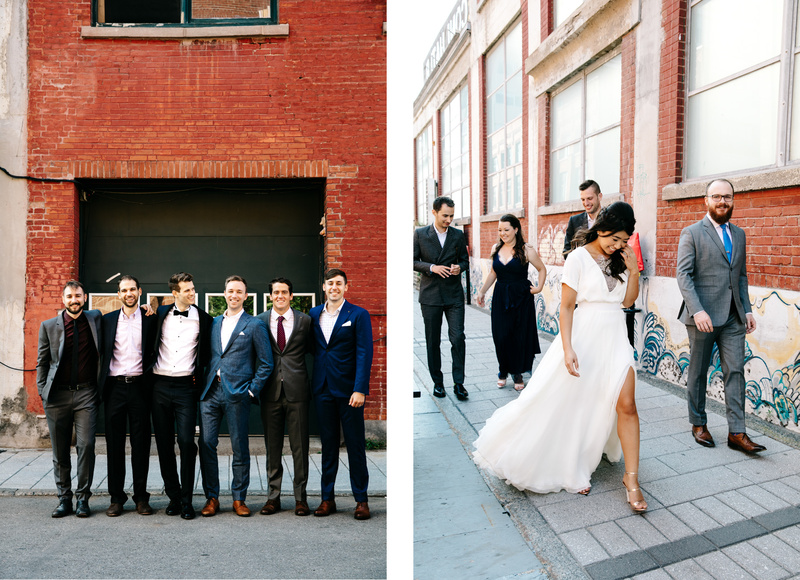 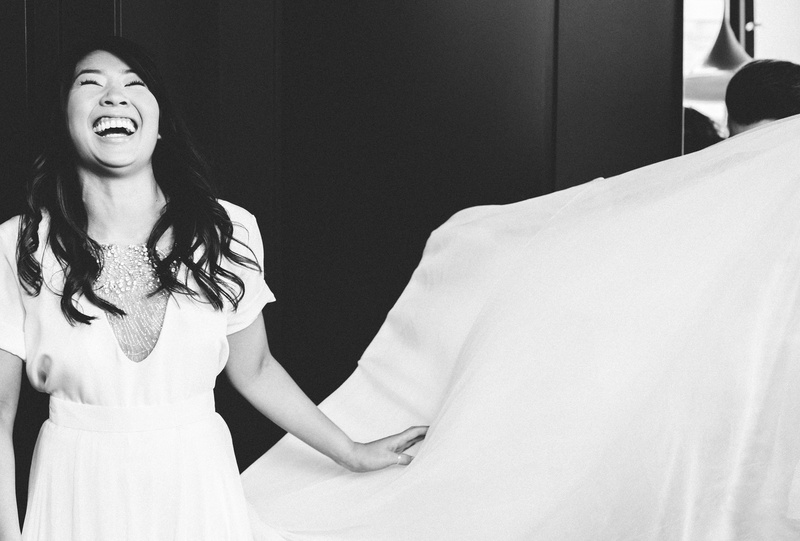 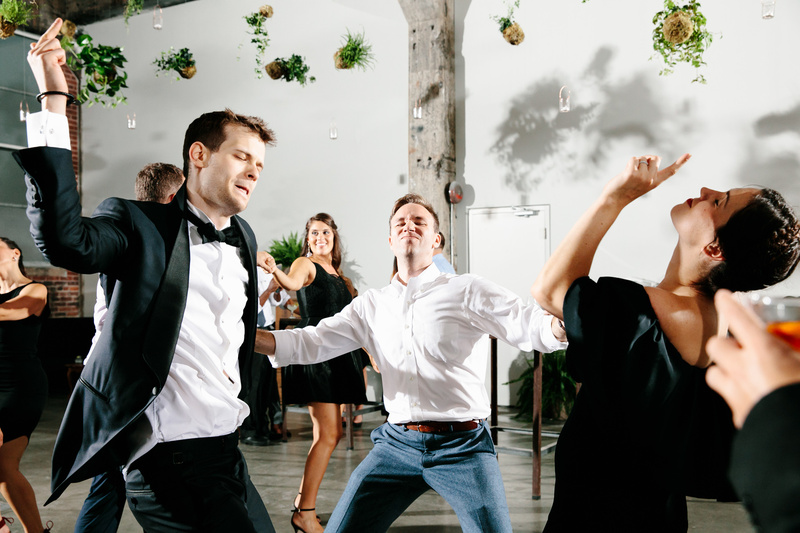 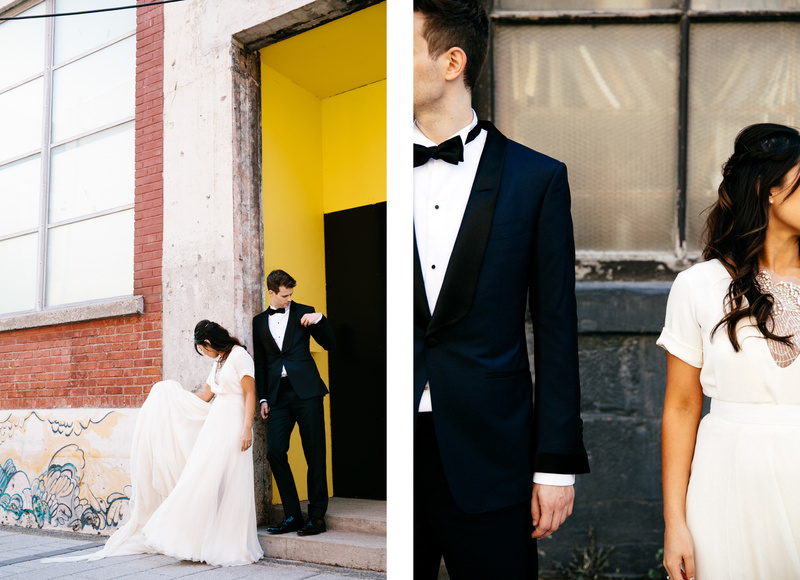 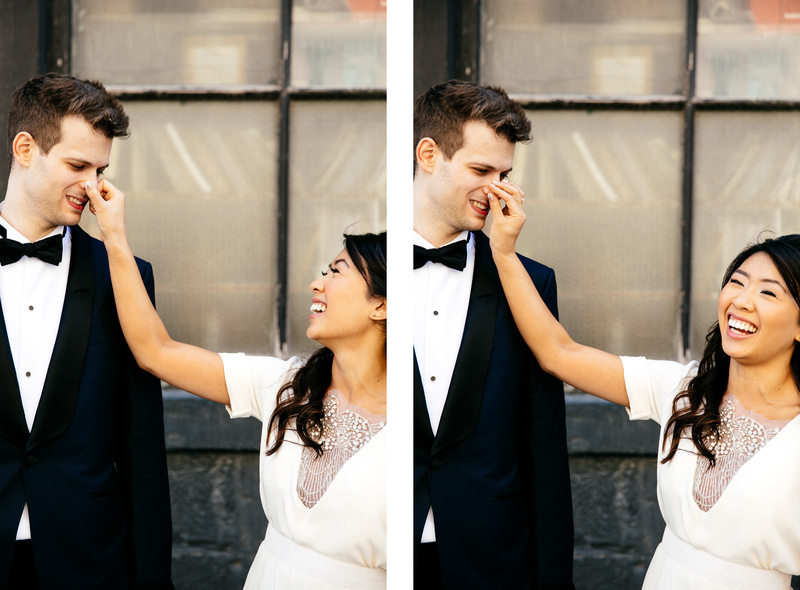 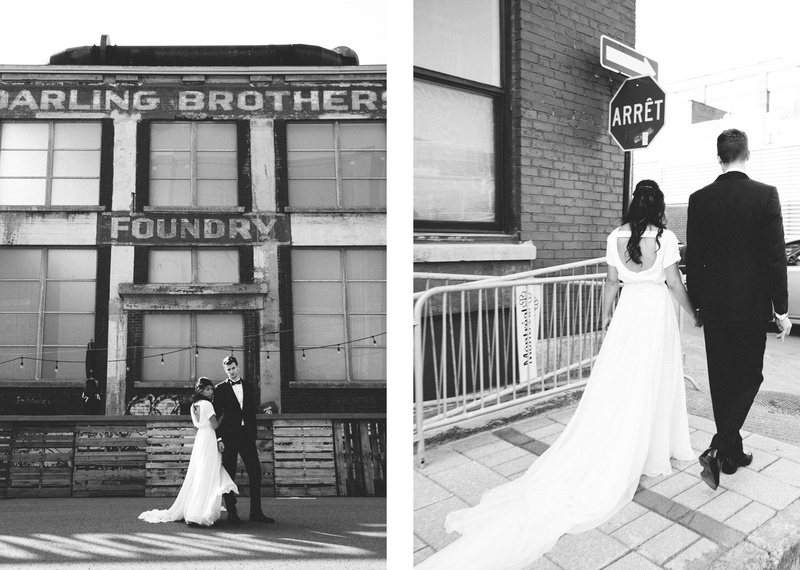 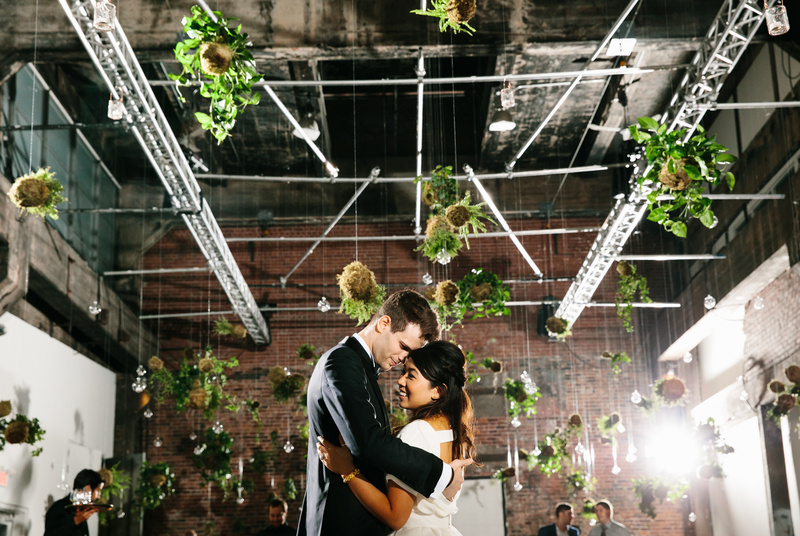 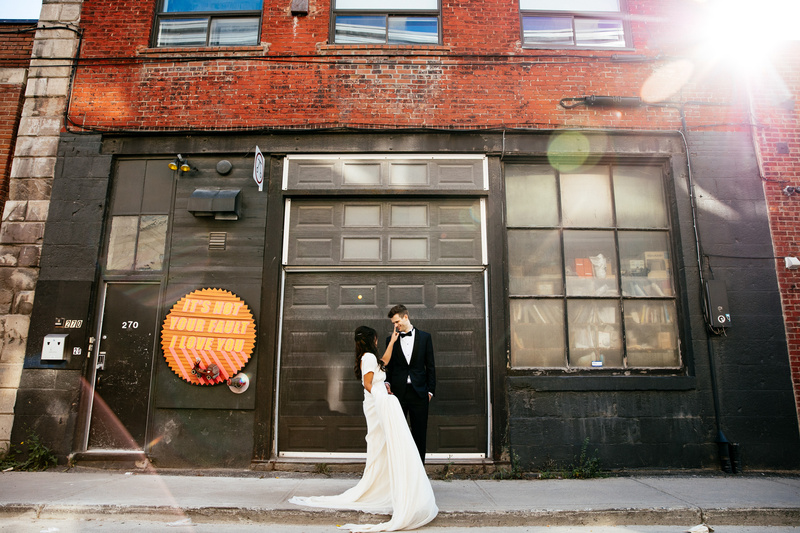 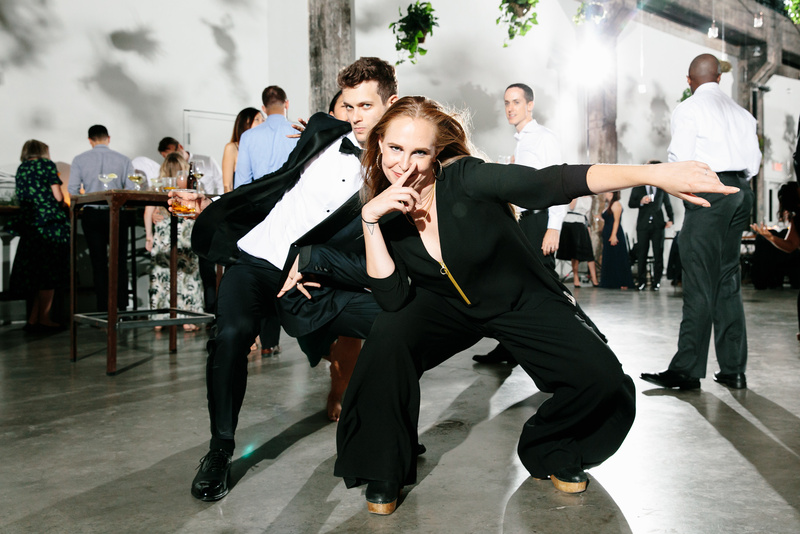 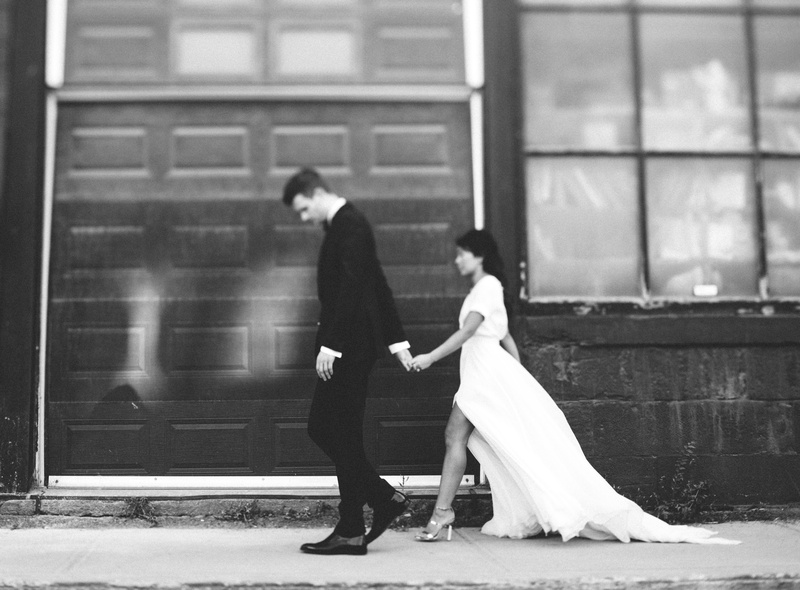 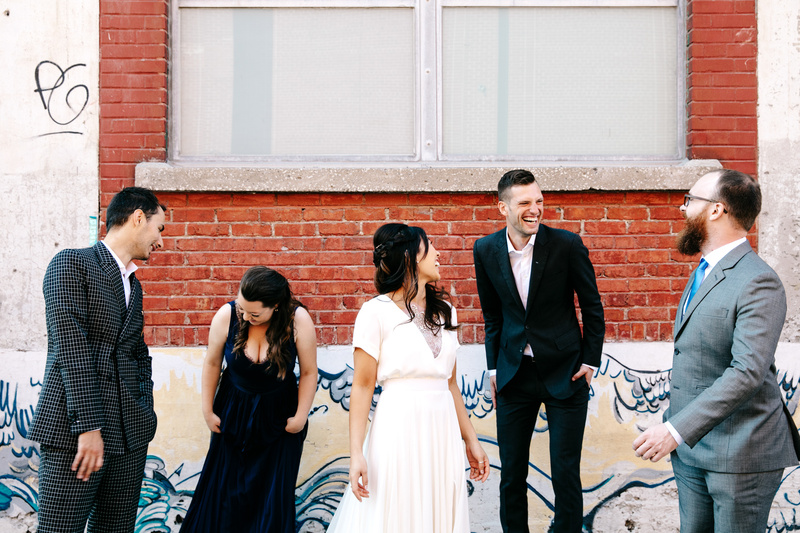 Peggy + Miles are New Yorkers who have made Montreal their second home and wanted to host their wedding reception there so that friends and family could fall in love with the city, too. 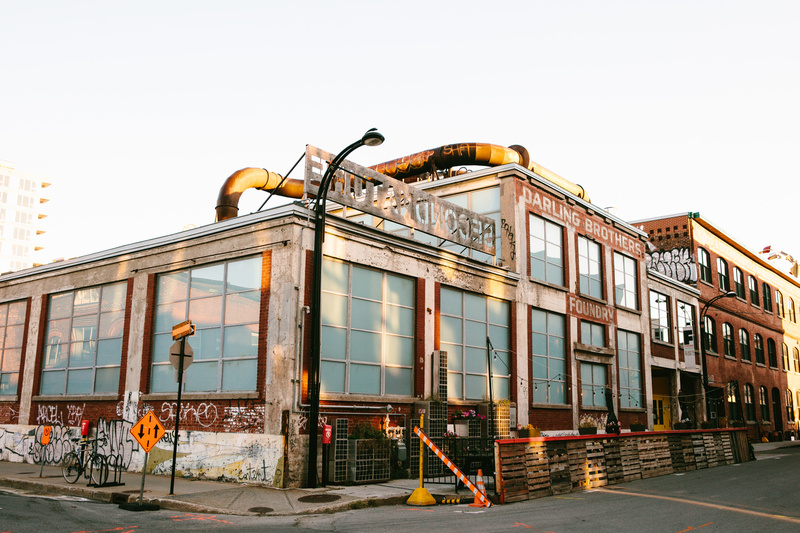 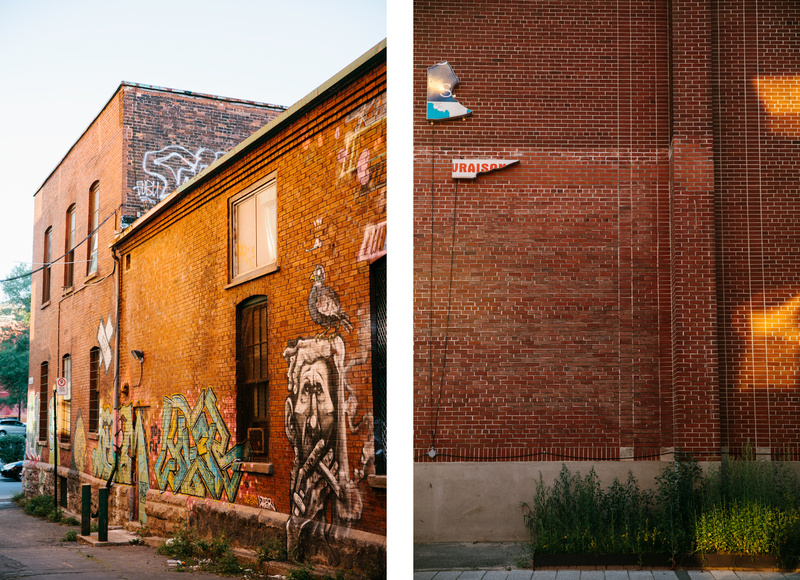 Never one to pass up an opportunity to eat all of the things (a must do in Montreal), I was eager to jump at the chance to revisit this French Brooklyn again (is it OK if I call it that?) 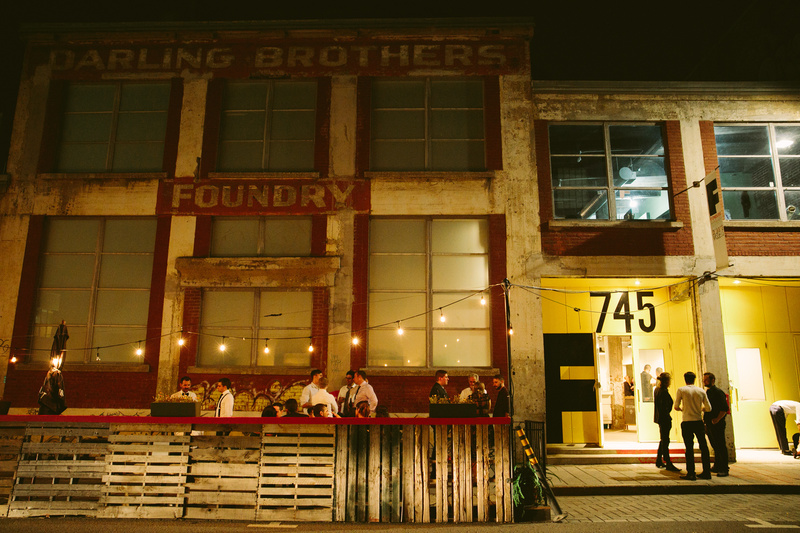 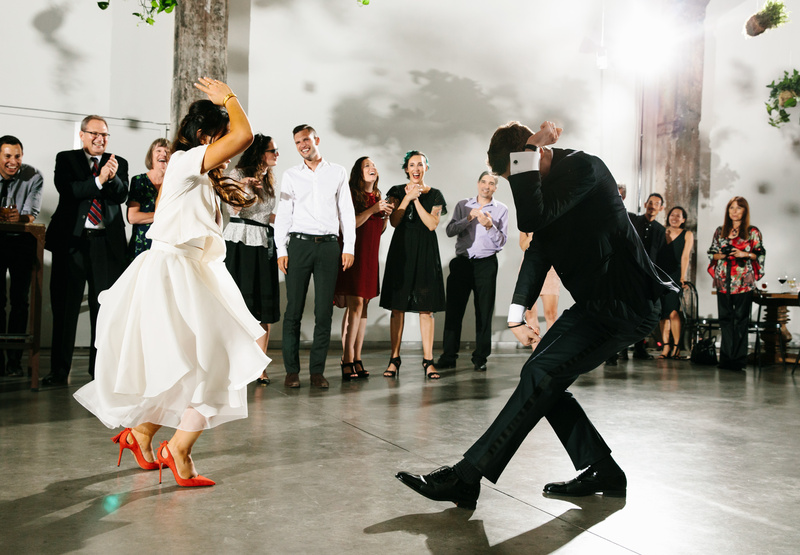 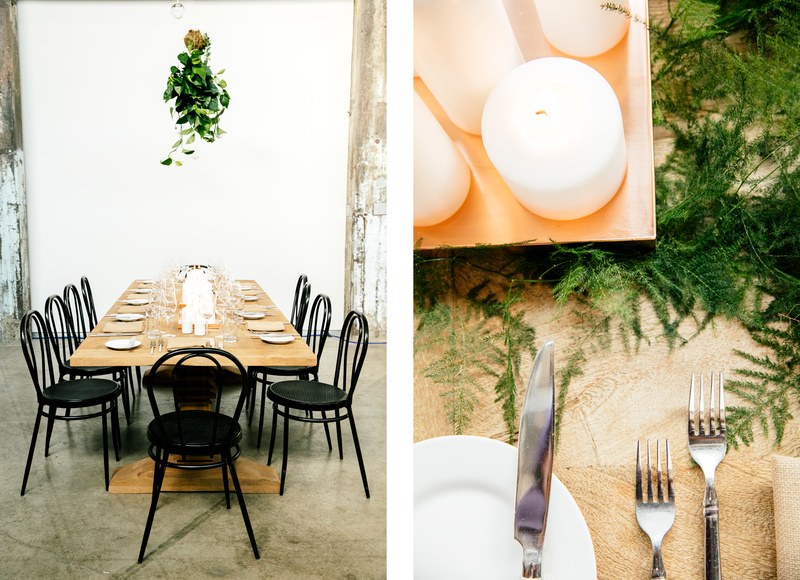 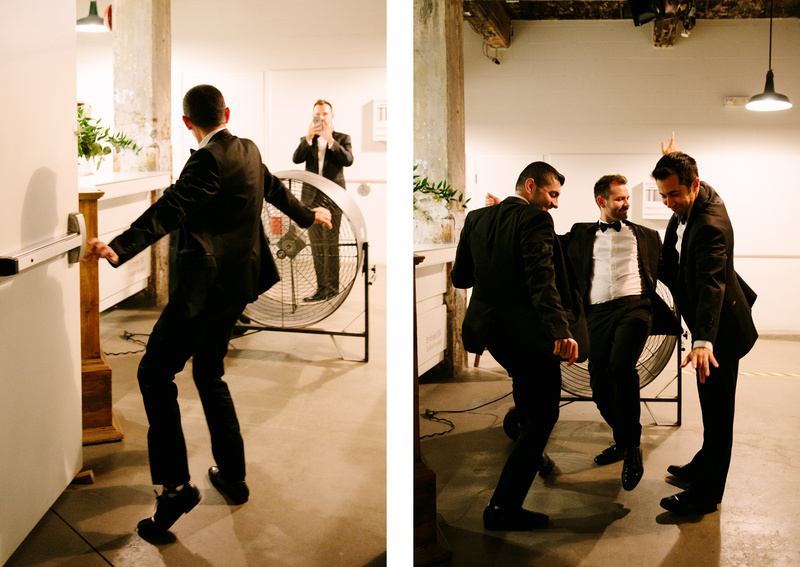 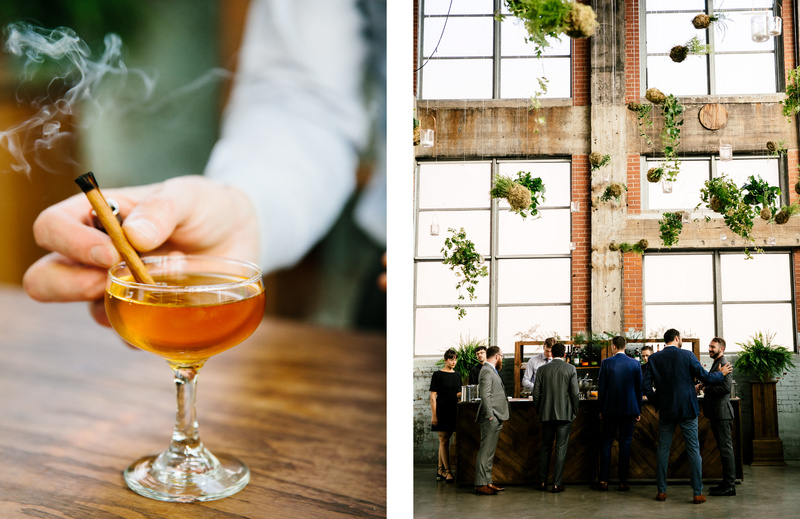 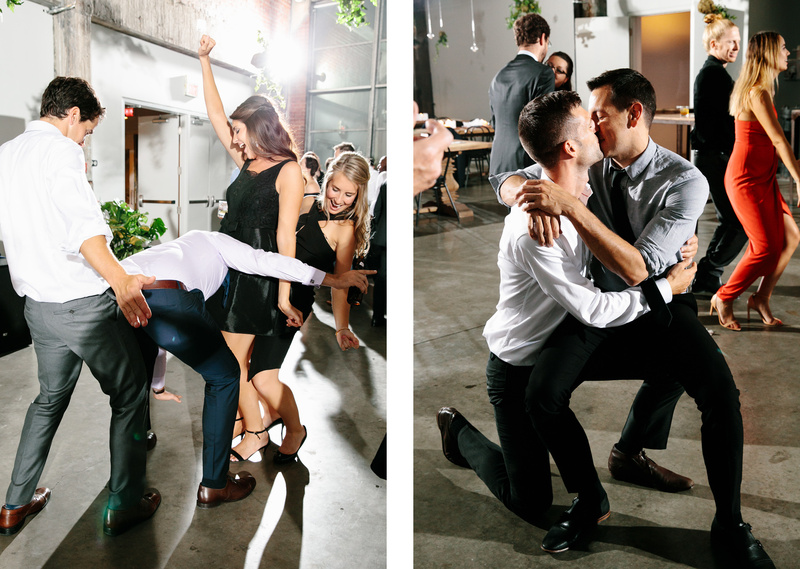 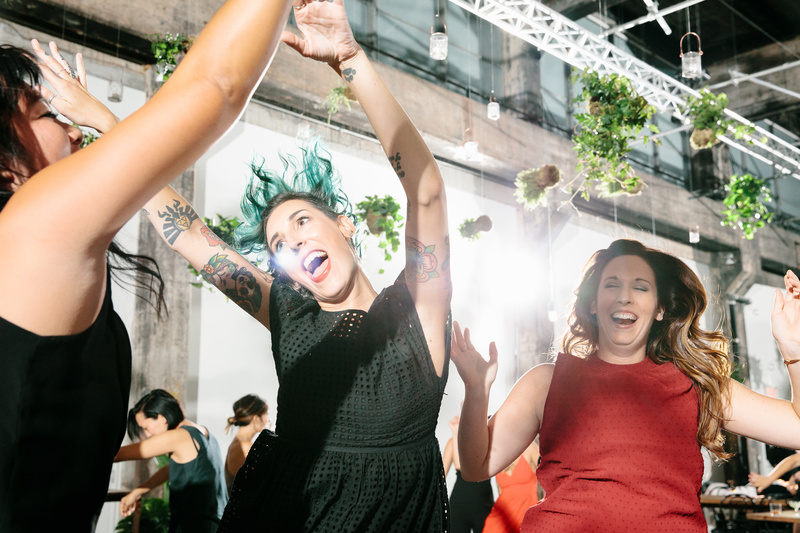 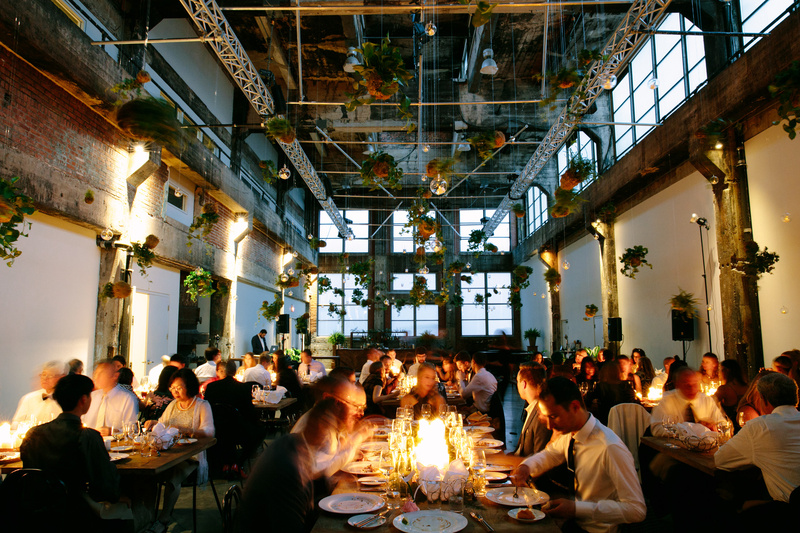 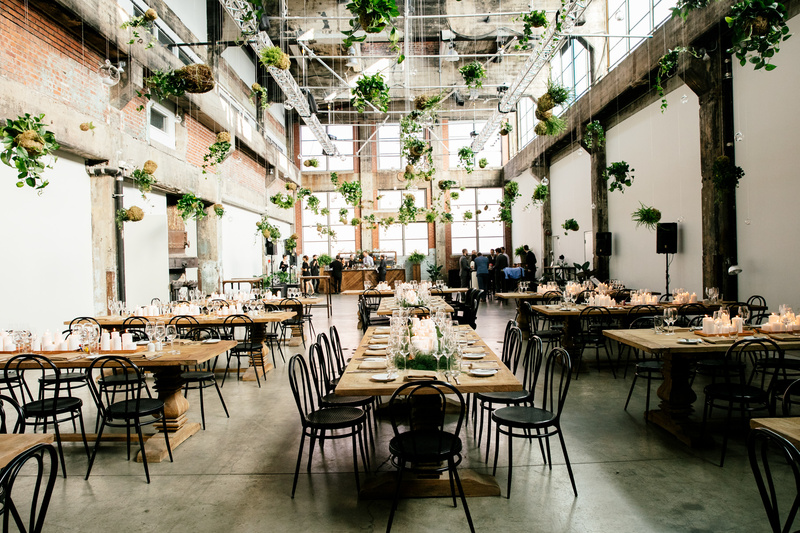 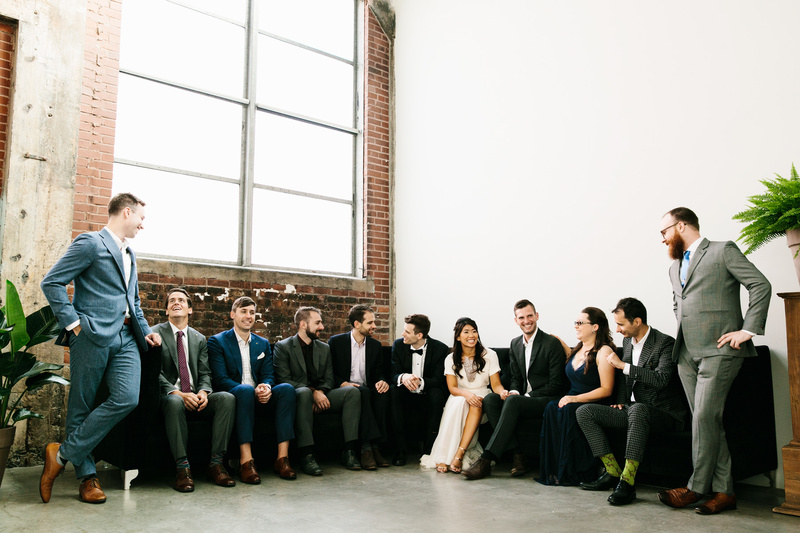 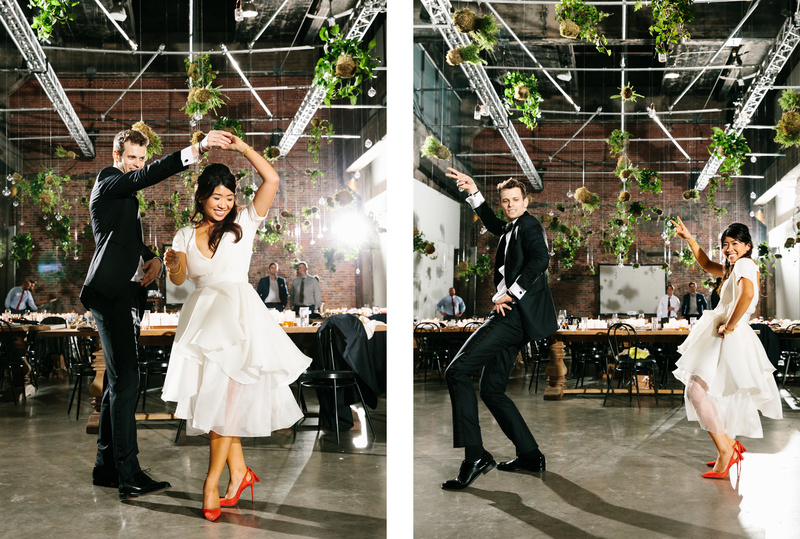 and document their minimal, cool, food-centric reception. 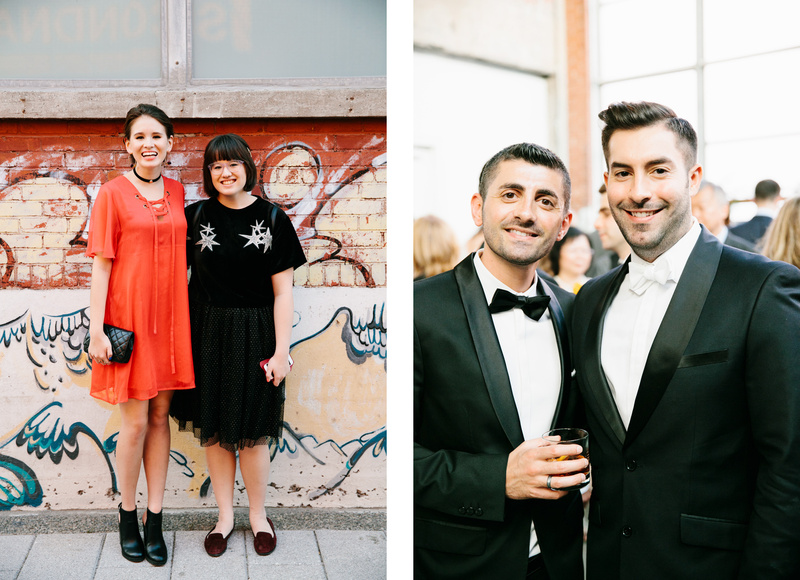 I was lucky to have creative pals Wade + Phil along for the weekend while P + M partied into the wee hours of the night. 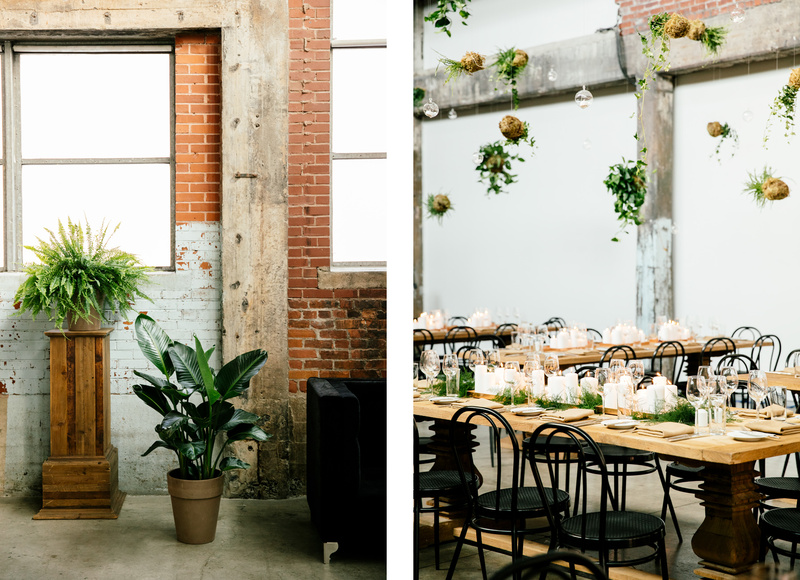 Normally an art gallery, Peggy’s vision of filling Fonderie Darling with plants came to life after a full day install with the help of Vanessa from Héra Mariages. 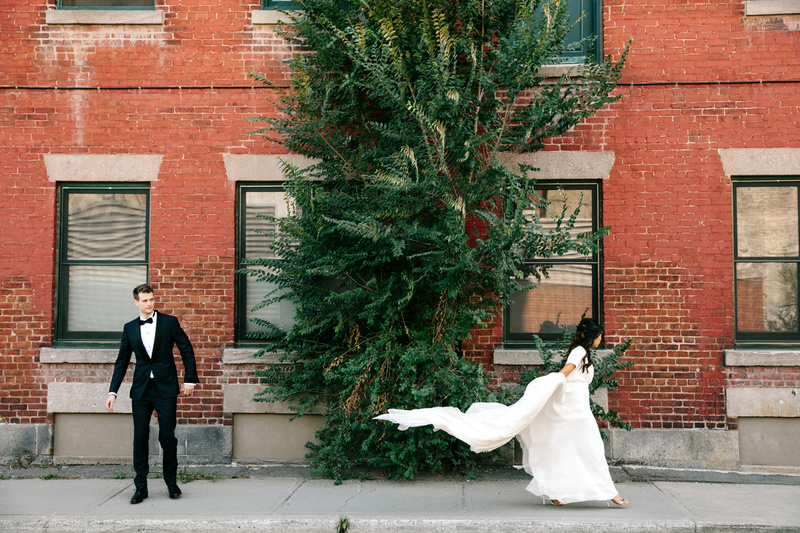 Peggy also wore one of my all-time favorite dresses, a custom piece by Carol Hannah — such a dramatic piece that looked amazing when she walked the streets of Montreal. 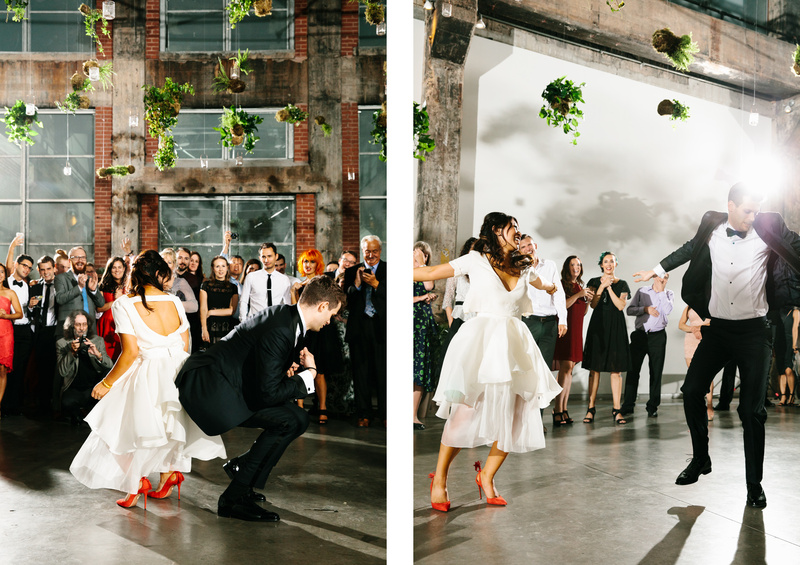 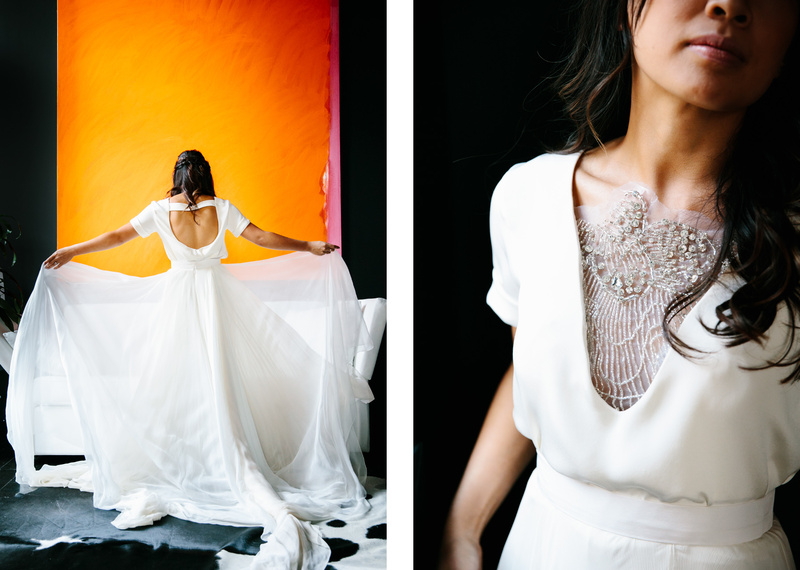 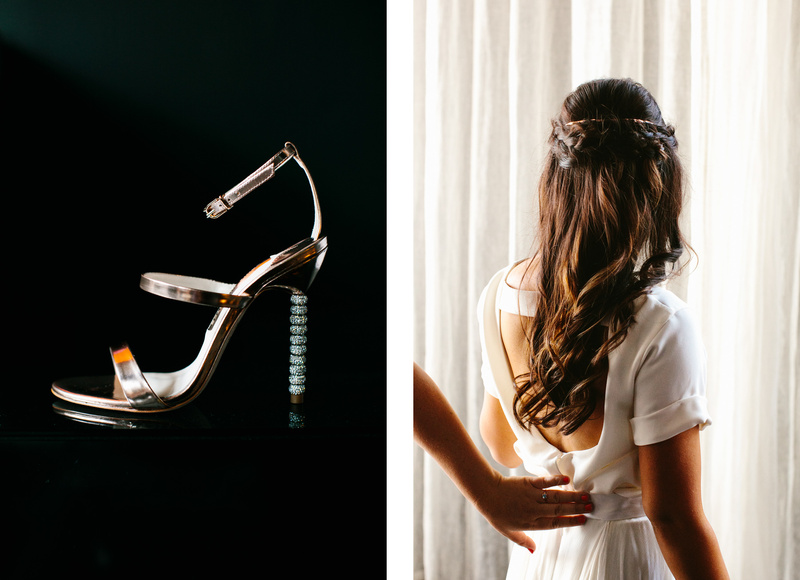 You can read more about their wedding and watch their video over on Green Wedding Shoes!